I want to finish well. I don’t know when the finish line will be underneath my feet, and it really shouldn’t matter. After all, if I believe it is “someday,” I put off finishing well, because I can rationalize I’m not really in the finishing phase of life. 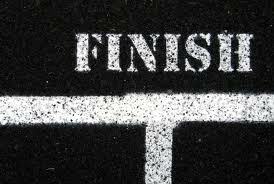 Finishing well is about living well. It’s about doing the best thing today, right now. It’s about not getting upset about what I’ve done that I wish I hadn’t or wish I hadn’t done that I had. It’s learning how the past has impacted my present, then moving into the future. God knows it all. He knows how it all weaves together. I don’t. I can try to understand it, and at times, it might make sense, but there are still missing pieces. There is still the un-understandable, and many times, it’s God’s grace that allows us to continue without full understanding. Finishing well begins with living well. Every step of the journey is important. Of course, I get distracted. I whine. I sit beside my path and mope or complain. I watch someone else’s journey and think it looks so much more appealing…and do-able. Or I celebrate too early and then lose momentum. But I want to finish well. I want to live a life today that is worthy of being the foundation of tomorrow. I want to be where I’m supposed to be today so I can make it to where I’m supposed to be tomorrow. I want to plant and tend the seeds of relationships today so I can continue to cultivate and harvest tomorrow. 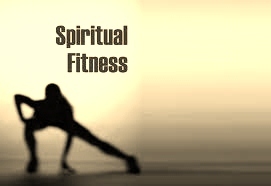 I want to stretch the spiritual muscles today that I will need to use tomorrow. I can’t plan to finish well, because I can be wrong about the timing of finishing well. But I can finish well by living well today, right now. I want to notice people around me. I want to be respectful and authentic. I want to be patient and loving. I want to strive for peace, which will sometimes involve uncomfortable confrontation. I know living well involves all these things and much more because living well isn’t about what I’ve personally determined to be living well. If I’m going to finish well in the life God creates, guides, and intends for me, I must know, trust, and follow his lead. Living well isn’t about deciding what living well involves. It’s not about living by my own standards; my own standards shift, and it’s not all that difficult to live by them. Living well includes becoming more like God, relying on him through the process. Finishing well is living well. And living well is living faith out loud…right now. It’s giving everything of me, including my weaknesses, concerns, questions, and doubts. It’s trusting God with all of me. Today, right now, I will live well. Will you? It started with a “gentle suggestion” to my husband. Okay, I’ll admit it: Looking back, I was probably nit-picking a pit. But I really didn’t mean for it to develop into an argument. You know how it goes: one person takes offense and says something, which offends the other person, and the argument escalates. Once it began, I wanted to finish it. And by finishing it, I mean I wanted to prove my point and do a victory dance. Yes, despite great strides in my maturity in recent years, I really am that childish at times. So, I perpetuated the argument. The problem is we kept getting interrupted. Tim’s phone rang. It was his work. It rang again. His dad. Sure, he could have declined the calls, but I understand his willingness to step aside and pause the argument each time. During each pause, I’d do a couple small tasks, and when he’d hang up, we’d resume. Then he got a phone call that needed more time and attention. I wanted to finish the argument, but I also wanted to get some other things finished. Besides, when I took an honest look at the situation, (1) it probably wasn’t going to be neatly tied in a pretty bow anytime soon, and (2) it really wasn’t that important in the big scheme of life – or our marriage. So while he was on the phone, I decided to wave the white flag, literally. I wrote a large note on a piece of white paper and taped it in the shower, where I knew he was headed soon. He got off the phone and came back to me to resolve things. I downplayed the argument, trying not to give away what I’d already written in the note. When he sensed I was ready to move on, he did, too. He wasn’t out of the room long when he returned – after finding the note. I got him. I like to surprise him. In fact, seeing that smile of contentment is much better than arguing – even when it involves a victory dance. Let go when you’re supposed to let go. When it’s more about winning, your own victory, than the relationship, it’s not worth it. Do you need to leave a white flag note for someone today? 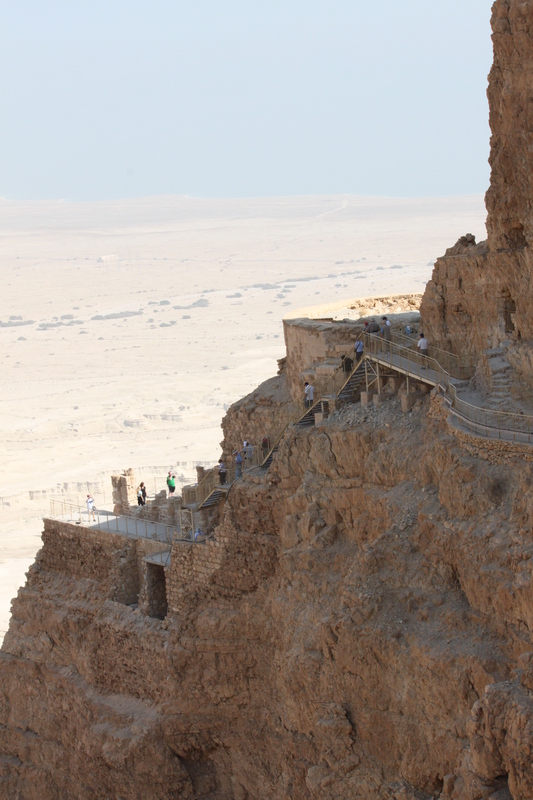 Masada archeologist Yigael Yadin left parts of Masada and the Roman camps surrounding it unexplored. 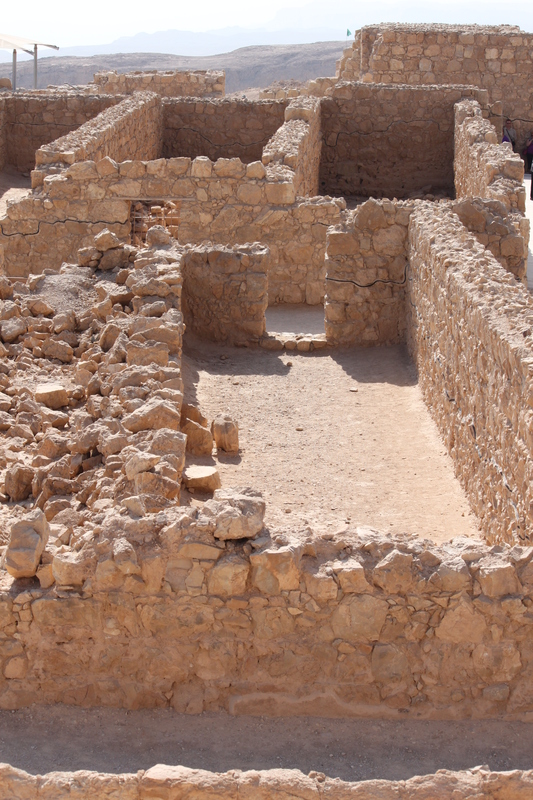 He uncovered much of Herod’s palace, the Roman ramp, the synagogue, scroll fragments, skeletal remains and much more. Imagine: Standing among treasures, surrounded by opportunities to explore and learn. Faced with a task, an adventure. Having the expertise to work on something that makes a difference. Could you leave the job undone? Do you leave the job undone? When you’re passionate about a project, how willing are you to delegate? Do you ever do for others when you know it might be better to let them do for themselves? How often do you seek others who know more than you and ask them for advice and assistance? How do you measure a job or task is “done”? Is it when there is absolutely nothing left that can be done, or is it when you personally can do no more – or you know you’re not supposed to do more? Yadin didn’t quit because he got tired of the project or could no longer work on it. He deliberately left some of the site covered…because he assumed there would be later be archaeological developments beyond what he knew and that by waiting, archaeologists who followed him would learn much more by sifting the same areas. 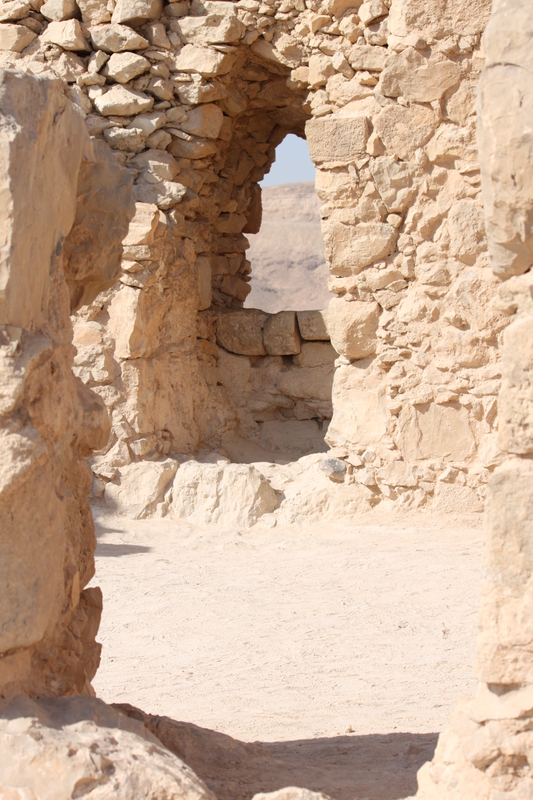 Look at this photo of Herod’s store rooms. Most has obviously been excavated, but take a look at the left side of the photo at the uncleared area. Yadin – even though he wasn’t sure of the specific benefits – trusted that someone else could do something that he couldn’t. Perhaps we sometimes feel lazy if we don’t finish something. Or we think we have a responsibility to finish what we start. Or we think if we commit to something, we can’t possibly hand it to someone else. Perhaps someone else won’t care as much about it as we do. Or they don’t have the experience we do. Whether it’s about us or them, we won’t put down the trowel and tweezers. We exhaust ourselves until our fingers bleed and our eyes water. We’re so tired that we don’t do a thorough job. Sometimes, someone is waiting in the wings…but she gets tired of waiting and moves on to something else. Or, she lets you keep working because it’s easier. Sometimes you’re called to finish a job…but sometimes you’re called to set it aside. You fit together with others. It’s okay to pick up someone else’s tools and finish the job and put down your tools and invite someone else to pick them up. Sometimes you’ll work for a brief time between the start and the finish. Your contribution might seem insignificant – but it’s part of the big picture. Be obedient. Take it from a (recovering) control freak. You don’t have to do it all. The world won’t fall apart without you. And yet you do have an important role. The key to knowing when to say “yes” and when to say “no” is discernment. Be obedient. Trust God. He knows what he’s doing and how you best fit!